Repeats every week every Thursday until Tue Apr 30 2019 except Thu Nov 22 2018, Thu Dec 27 2018, Thu Jan 03 2019, Thu Mar 21 2019. 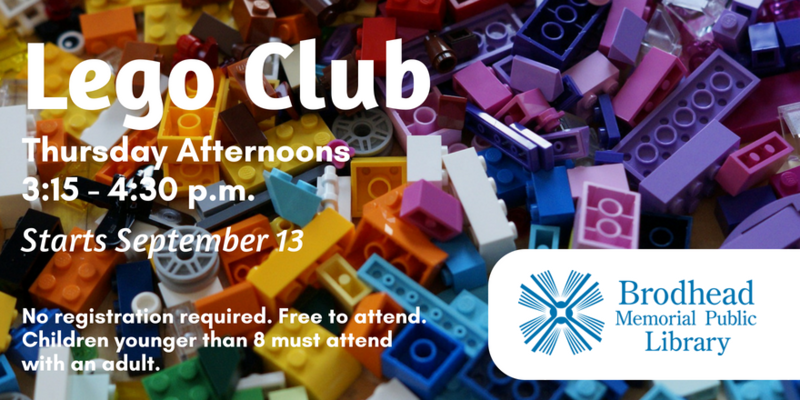 Lego Club is back on Thursdays after school! Participants can work on their own creation or try to complete our weekly challenge build. Some super cool creations may even be displayed in the library! This program is open to all ages. Children younger than 8 must be accompanied by an adult.